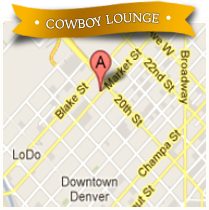 With Denver’s rich history in cowboy lore, Cowboy Lounge is a natural piece of LoDo’s character. It’s LoDo’s only country rock bar and features a giant dance floor, stage, DJ booth, three bars, numerous HDTVs and a 6’ screen and HD projector. With its western cowboy flare, Cowboy Lounge offers the true Wild West experience for corporate meetings and private events. Cowboy Lounge can be combined with adjacent Tavern Downtown to create a venue accommodating groups up to 1,500 people. The Cowboy Lounge is near numerous parking lots and on-street metered parking spaces. Rates vary depending on LoDo events. Planning your corporate meeting or other special event? Let us assist you. The Banquet Photo Gallery link below offers a look into Cowboy Lounge's spaces and some of the many events and parties we have hosted. Or please download Cowboy Lounge's floorplan or our Banquet Brochure that provides a look inside all of our venues. Our menu features traditional and unique American tavern fare. An extensive selection of eclectic appetizers, entrees and desserts may be served as platters, buffets, receptions or plated meals. Allow us to custom-design a menu that best fits your needs. We are happy to accommodate special dietary restrictions. Please download our Banquet Menu PDF and take a look at our variety of options. Basic AV package with iPod connection, in-house music, logo on ad screens, microphone, DVD or presentation on TVs is $100. Live bands must provide their own PA equipment or the event coordinator can assist with renting PA equipment or any other production needs. In-house DJ $750 for up to five hours. Teach your group to two-step or line dance. Single or group lessons offered. • Mechanical Bull – The Wild West at its Best! See how long you can stay on the bull. • Calf Roping – Mount the saddled horse and attempt to rope the speedy calf. • Quick Draw Saloon Shoot-Out Game – When the doors swing open you and an opponent quick draw to score points. A professional Event Coordinator is available to provide you with all of your event service needs, such as linens, specialty cakes, florist services, table displays, and coordinating a live band or DJ with our in-house talent buyer. If you have recently allowed us to host your event we would love to hear your feedback. Please take a moment and fill out our feedback form. "EXCELLENT! They were all extremely professional and friendly. Everyone had a smile on their face and treated our guests all like VIP’s. Many thanks for that." "Great to work with and also loved that we could have our logos on screens around the bar, branded videos and of course the football game. That was wonderful!" Minimum number of guests required for an online private event request is 25 people. For parties with fewer guests, please call the appropriate location. *Please note: We require the finalized banquet menu two weeks prior to the event date. 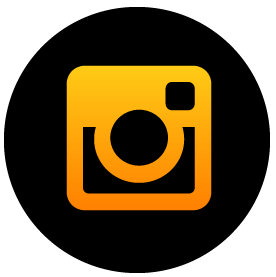 In order to provide you the best service possible, please contact us by phone at 303.226.1555 if your event is taking place within two weeks.